Does your life seem to be going in circles? Do you struggle for everything you achieve? Are you working like an elephant, yet eating like an ant? Do you desire to live in the realm of strange favour and uncommon speed? Maybe your life has not been a complete struggle all the way, but somehow you feel your life should be far better than it is now. If your answer is ‘YES’, then this book is specially for you. Demonic oppression is real. It is heartbreaking when I see people who still believe, despite the obvious, that satanic oppression is just a figment of one’s imagination. There are people who try to create logical explanations for the mysterious attacks and battles in their lives. This is equally a strategy of the devil to make people never desperate to solutions from God about the issues in their life. This book is a heaven-inspired instrument to put an end to afflictions and uplift your destiny to the place God has originally designed you to be. As you read and pray with this prophetic material, your life will experience a complete turn-around in Jesus name! 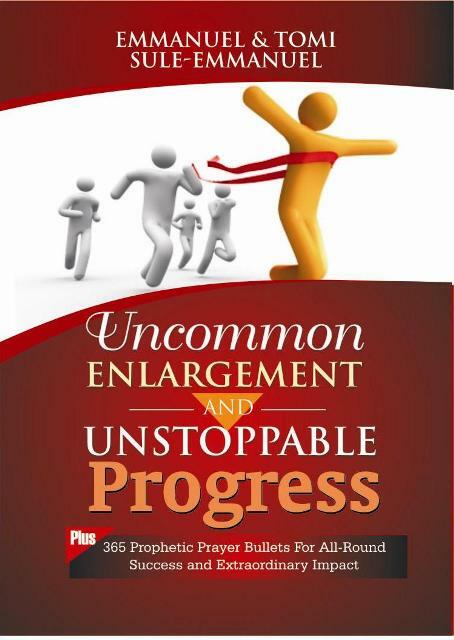 As a bonus, this book has 365 PROPHETIC PRAYER BULLETS FOR ALL-ROUND SUCCESS AND ENTRAORDINARY IMPACT.